Death, Order, Podcast, Tournament Coverage 0 comments on Episode 62: BLACKOUT and EGGS! Episode 62: BLACKOUT and EGGS! In part 2 of the show we delve into the Element Games Grand Slam (EGGS) event held in Stockport at the Element games venue. 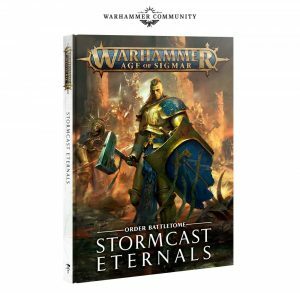 Terry discusses TM Stormcast, Russ explains the evolution of his Nighthaunt and Byron talks more about Mixed order. In this episode we take an indepth look at the Idoneth Deepkin battletome. We discuss the allegiance abilities, artefacts and traits, rituals and spells as well as covering warscrolls, enclaves and warscroll battalions! During the show we also come up with another Russ Veal army build on the fly. Les and Jervis talk rules! I had so much fun at Warhammer Worlds Heat 3 playing my janky High Elf Dragon list that I’ve decided to continue working on The (turquoise) Twilight Host! I’m looking for excuses to use nice plastic characters (be they Aelf or otherwise), in this article I cover making a High (Aelf) Elf Mage conversion using the Warhammer 40k Eldar Farseer model. I picked up the beautiful Eldar Farseer model from the Warhammer 40,000 range with a view to what is basically a head/arm swap. The head swap was simple, the arms were far more complex than I had intended upon though. The fantastic Empire Battle Wizard box came in very useful, as well as some Eternal Guard/Wyldwood Ranger Vambraces.